Back in the 1970s, in admittedly very American Chicago, I took French in high school from a native speaker who insisted on perfect French pronounciations (and was VERY withering in her corrections! 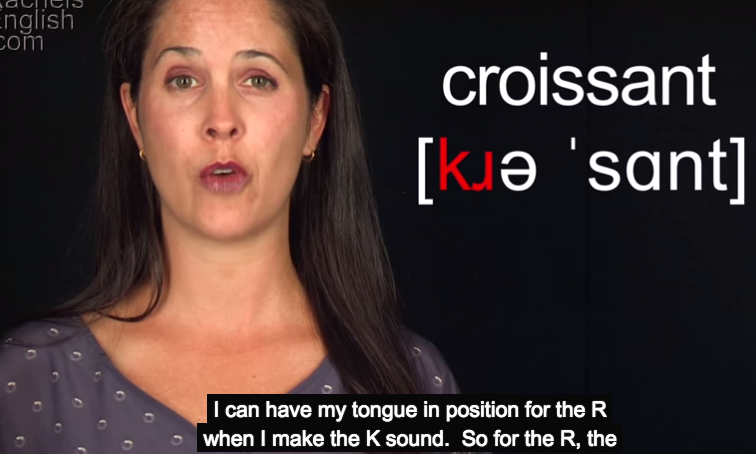 ), so I pronounce croissant with the “kwuh” first syllable – it just comes out that way! I never thought about it all these years until recently, my teenage daughter called me out on it, and she delights in imitating my “affectation” …. I’ve tried to say “krah”, but it just feels super weird in my mouth, so I think I’ll just have to suffer on with a smile…and maybe add a beret!